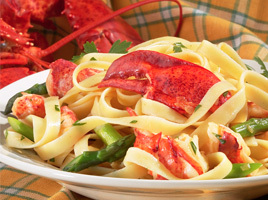 This fast and easy lobster pasta recipe is decadent and table ready in moments. 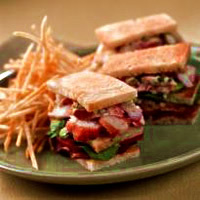 Red, orange or yellow bell peppers, sugar snap peas, broccoli or zucchini may be substituted for carrots or asparagus. Extra virgin olive oil is not recommended for this dish. 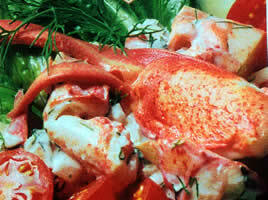 Remove lobster meat from container, drain (do not dry) and cut into 1/2″ pieces. Reserve. Cook pasta according to package directions. Heat 2 tablespoons light olive oil and 2 tablespoons butter in a pan, add carrots and asparagus and saute until barely crisp. Add remaining oil, butter and garlic, cook 1 minute. 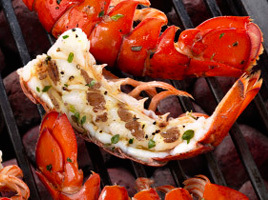 Add lobster meat, cook 1 minute. Remove from heat, add basil, toss with cooked drained pasta and Parmesan cheese. Serve immediately. Check out our product locator to find out where to buy Cozy Harbor seafood locally.